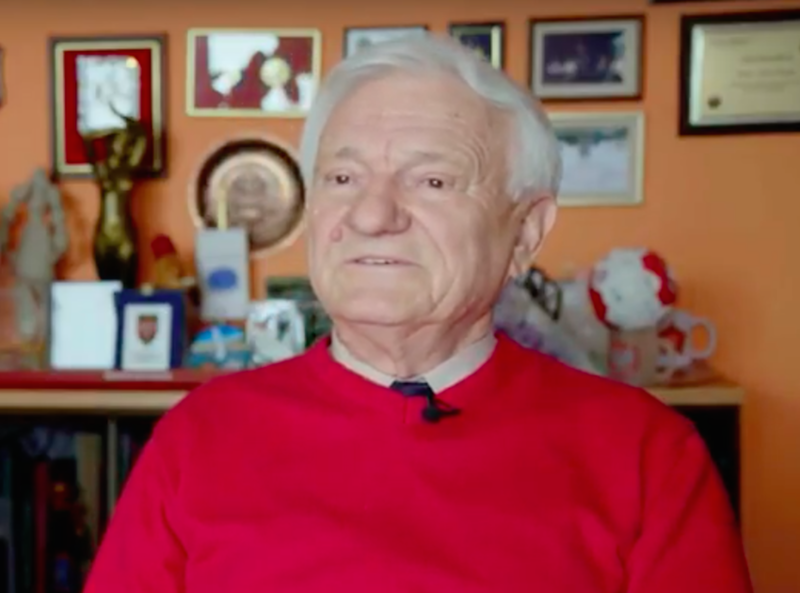 Jovan Divjak was a Commander of the Territorial Defence in Sarajevo when the war in Bosnia began. In April 1992, he stayed in Sarajevo to be part of the multi-ethnic ABiH, defending the city and its civilians. I was born in Belgrade and moved to Bosnia with my family, where my younger sister was born. After secondary school, I went to the military academy because my mother could not afford to pay for my education – my parents were divorced by that time. I moved to Sarajevo in 1966, and for 18 years I was part of the military education system and just before the war, I was made Territorial Defence Commander of Sarajevo, holding the rank of General. In 1991, I was prosecuted by the military attorney of the Yugoslav National Army (JNA), for allowing local police forces to take JNA weapons to protect their communities. In April 1992, I received a phone call from General Siber, who was the Commanding General of the Army of Bosnia-Herzegovina (ABiH). He asked me to attend what would turn out to be a historic meeting – the establishment of an organised multinational army, to defend multi-ethnic Bosnia from any kind of attack and to protect its independence and sovereignty. We were a multi-ethnic force – our Commander was Bosniak and our deputy commanders (of which I was one) were Croat and Serb (although I identify as Bosnian-Herzegovinian). and to offer my professional, military knowledge to the soldiers to enable them to stand against any threat that might come. At first, I did not believe there would be a war, what was happening in Croatia felt far removed from us. There was some talk about war on a very small scale, taking place elsewhere in Bosnia, but never war in Sarajevo due to its multi-ethnic, multireligious and multicultural foundations. We considered it impossible. So I was stunned when the attack on Sarajevo began. it’s hard to start a war, but it’s even harder to finish it. I never felt the need to leave Sarajevo, not even in 1993, when then US Ambassador Jakowitch told me that all I needed to do, is to say the word and he would arrange for me to get out. I considered it more important to stay here to make it easier for others to get through the war. Many Serbs stayed in the city during the war, around 30,000 of them. The ABiH army was 12% Serb and there were Serbs in the police and civil defence, in media and hospitals, and two Serb members of the Bosnian Presidency. All those who decided to stay here and defend their homes and their families, they were also defending the multi-ethnic spirit of the city. I had decided to stand on the side of Bosnian citizens and the citizens of Sarajevo. I did not act from a political standpoint, but from the standpoint of my profession, which was to help Bosnian citizens to stand up and to resist the aggression. I identify first as a Bosnian-Herzegovinian, because it’s pure egoism to belong to just one nation, one religion. One’s greatness is when one belongs to the world, to nature, and is not a slave to a religion or a nation. I was a witness in one case before the Hague Tribunal, and when identifying myself, I stated: Earthling, from the planet Earth. I belong to this city. Going to theatres, attending funerals, weddings, birthdays… I lived the rhythm of this city. Citizens have accepted me as part of their families and when I visiting my soldiers in different neighbourhoods, I was usually greeted with applause, which gave me a moral satisfaction – that I was in the right place, being of service to others. In 1994, I set up the Foundation “Education Builds Bosnia and Herzegovina”. This benefits children and young victims of war, including disabled children and young people in social need from all ethnic groups. When I was young, we were taught that religion is the opium of the people. Today, I think that education in Bosnia is being used in a similar way. Children are not learning what really happened in Bosnia. Take Srebrenica. Serb children today learn about the NATO bombardment of Serbia, but not about the genocide in Srebrenica. Milorad Dodik, President of Republika Srpska, has said numerous times that in their history books, there will never be a mention of a genocide or the siege of Sarajevo. Similarly, young people in the Federation do not learn that the ABiH also committed war crimes. History has long roots and the roots of this go back to the long history of Yugoslavia and Bosnia. Genocide in Srebrenica did not only take place over a few days on 11 July. It started way back, with ethnic cleansing in the River Drina Valley at the end of 1991, and genocide in Prijedor with the mass graves at Tomasica, Ključ, Sanski Most, Zvornik, Višegrad. 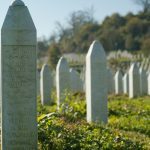 The story of Srebrenica has to be above all the story of human relationships, since there are numerous examples of people protecting one another. Today, we have a real need for education on Srebrenica and Bosnia-Herzegovina and what happened here. We need history textbooks for Croatia, Serbia and Bosnia that can serve as a tool of justice. We need to spread as far as we can the Hague Tribunal verdicts against Mladić, Karadžić, Beara, Krstić and others. We need to educate people not only about the genocide in Srebrenica, but the genocides in Rwanda and in Syria today. Only when you have that wider context can you understand Srebrenica. We need to learn from how other countries have dealt with genocide – Rwanda, as a state, dealt with the genocide through the judicial system and reconciliation, and showed how these things need to be done. I decided to stay in Sarajevo and defend the city because that was my moral and professional obligation. In the world today, our obligation is to do everything we can to prevent war and confrontation. Every country has groups – civil organisations, NGOs – advocating peaceful resolution and non-confrontation and they should get all the support there is. That is how we prevent future conflict and build a better future for our young people.